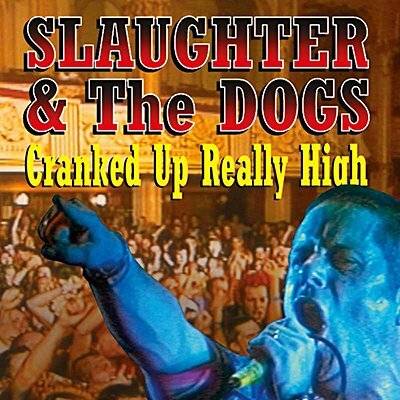 Slaughter & the Dogs were one of the first punk rock bands on the English scene in 1976, hailing from the notoriously tough Manchester suburb of Wythenshawe (once the skinhead capital of the North). Although never fully embraced by the punk fashionistas down in London, The Dogs embodied the British sound more than anyone knew it. Hauled around London by Malcolm McLaren, they personified the true urban instincts of rock 'n' roll with a homage to Mick Ronson, The Sweet, New York Dolls and Lou Reed in venues such as The Roxy, Nashville and The Vortex. Interference proudly presents the cutting edge of British punk with what is arguably, the first ever punk rock recordings made in England in 1976. Coupled with outtakes, demos, live tracks and their rare 1977 debut single, this edition also boasts rare interviews and background liners.